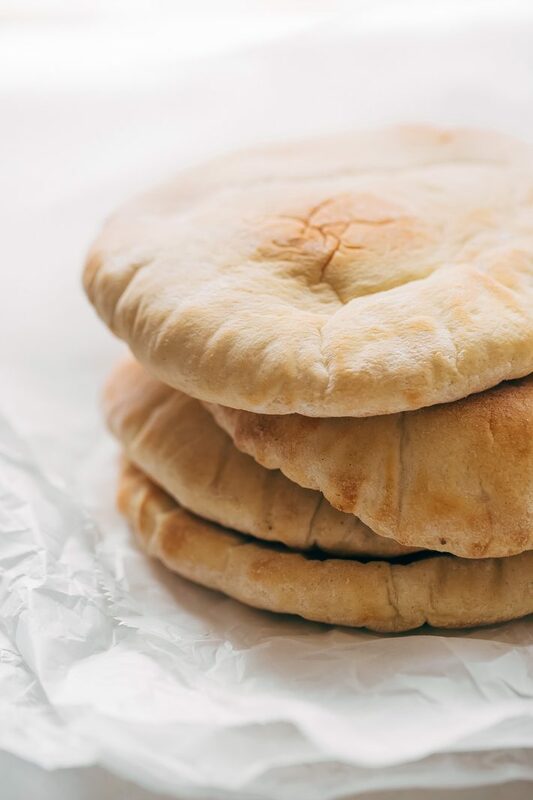 Call it a naanwich or kofta pita sandwiches! These kofta kabobs can be served with a salad or vermicelli rice too. Goes great with my homemade garlic tahini sauce! That’s what you call a damn tasty sandwich in the words of a two-year-old. Besties little one does describe it best. Although, the kid has no idea what kind of prize-winning term he’s just coined. Or we can call it a naanwich or kofta pita sandwich. 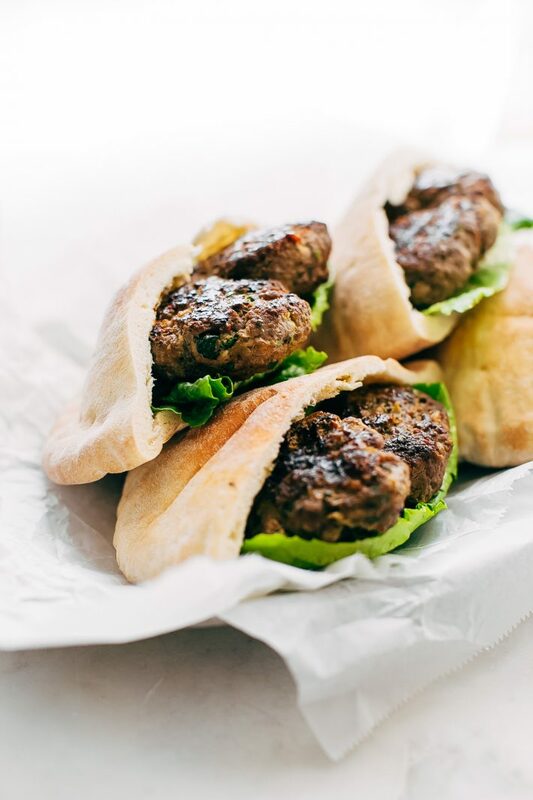 Or maybe you prefer to call it a kofta pita pocket? 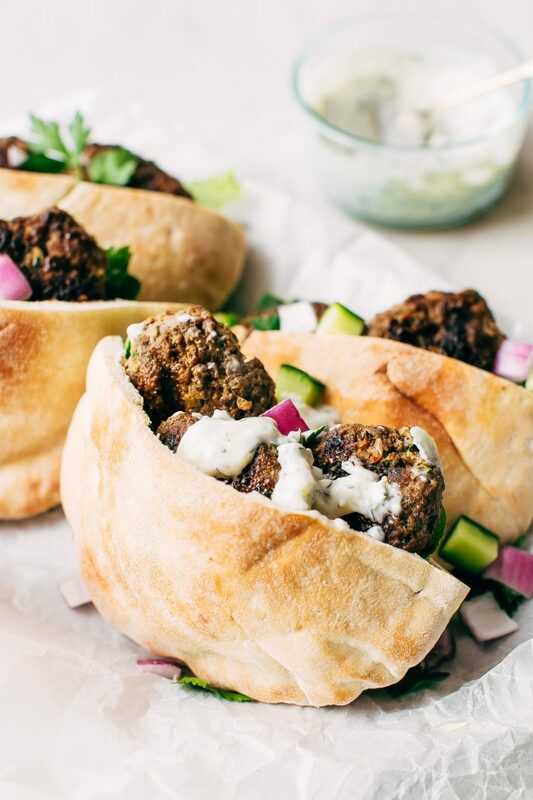 I say call it whatever you want as long as you’re stuffing these simple kofta kabobs into/onto a hunk of pillowy soft bread and then topping it with my homemade garlic tahini sauce and onions and cucumbers and tomatoes and essentially, anything else that you prefer on your sandwich. 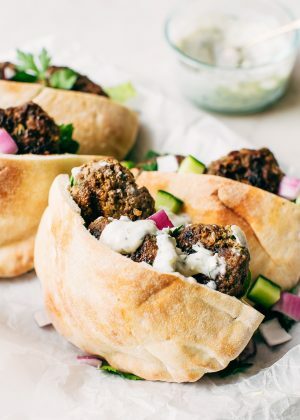 I can’t tell you how many times I’ve made these kofta pita sandwiches. No seriously. I’m afraid if I start tallying, the number will be in the double digits. Aside from the unmistakably tasty aspect of this, I find this kofta kabob recipe so easy to throw together; I make it all the time. At this point, I’ve tried these over vermicelli rice, chopped up on a salad, made into lettuce wraps (hello summer bod, I see you), inside pita pockets, with tzatziki. And finally, with this garlic tahini sauce, I’m going to tell you about in just a sec. Good Lawd, this is one fantastic dammich. One other ingredient I like to use is a little saffron  (affiliate link) bloomed in two tablespoons of warm water for a few minutes. It’s optional because it is a bit spendy and not everyone uses it enough to justify the purchase. We make kofta kabobs at least once a month (if not twice), so it’s worth it for us. Seriously, double digits for a gram if it’s high quality, sheesh! Every time I open the container, it takes me back to the time my mom, and I went to Dubai a few years ago and shopped the spice souks. Leave me there forever! You’d find colossal glass jars shimmering with these precious ruby red strands at every store. And the fragrance was like nothing I’ve ever smelled before. My mom makes saffron milk with the saffron she bought with loads of almonds, pistachios, and rose water every year and I kid you not, it’s the best thing. 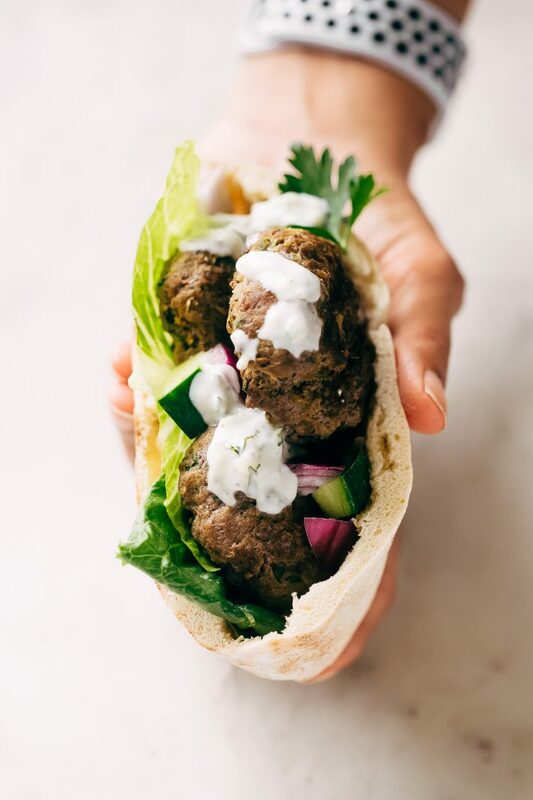 Okay now we’re going to need a sauce for the kofta pita sandwiches, and TBH, I was going to tell you to top it with tzatziki. Some of the pictures show it with tzatziki sauce here. But then when I was doing one more final run on the koftas, I decided to try making a garlic tahini sauce. Because when do I not try and find more ways to shove garlic into everything? Oh, boy did it pay off! I practically licked the food processor clean because it’s one of the most addicting sauces I’ve ever tasted. Make traditional ovalish flat logs, mini round patties, or larger oval ones. Make whatever shape you like! You can even put them on flat skewers if you want, I just did it by hand. Serve it with any toppings you like! The longer you marinate the meat, the better it’ll taste! Sure 20-30 minutes will do it, but it tastes extra awesome if you let it go for 24 hours. I say prep this on Sunday and then cook them fresh for Monday night’s dinner. 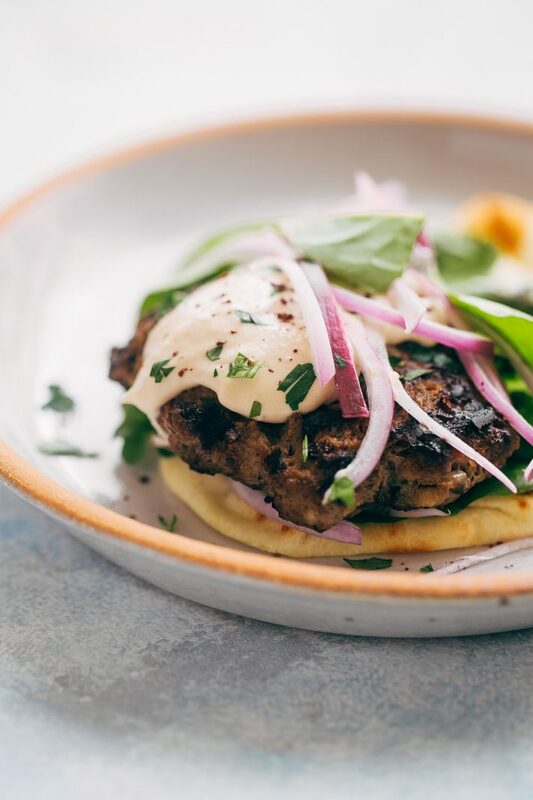 I can’t say enough about this kofta pita sandwich. It’s that good. One thing I’d like to add, there are TONS of variations for kofta kabobs. I’m not saying this is a 100% authentic kofta recipe; I’m just saying it’s the BEST KOFTA recipe and you have to make it. There are times when I wake up from a nap just dreaming about it; it’s that good! to serve: pitas, lettuce, parsley, sliced onions, cucumbers etc. marinate: Add the saffron (if using) to a small bowl along with two tablespoons of warm water. Cover with plastic wrap and let bloom while you chop the onions and parsley. Add the ground beef to a medium bowl, along with the chopped onions, parsley, turmeric, sumac, saffron, 1 1/4 – 1 1/2 teaspoon of salt, 1/2 teaspoon of black pepper. Mix using clean hands until all the ingredients are thoroughly combined. Cover and refrigerate for at least 30 minutes and ideally, for 24 hours. 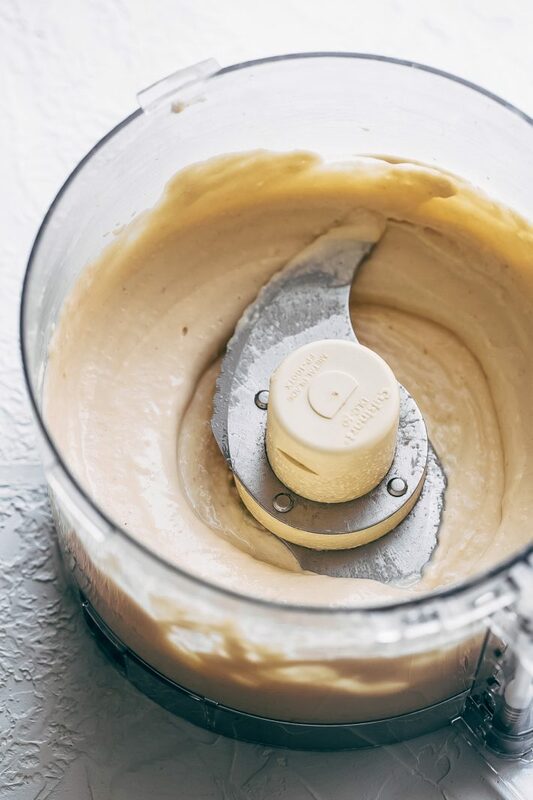 garlic tahini sauce: to make the sauce, combine the tahini paste, garlic, and lemon juice in a food processor with a big pinch of salt; run the food processor until the garlic and tahini combine. With the food processor running, drizzle in the olive oil and three tablespoons of warm water. If the sauce is still thick, add in another two tablespoons (one at a time) until the sauce thins to the proper consistency. Taste and adjust with additional salt as desired. make kofta: shape the kofta kabobs into small patties or large ones. Grill them over medium-high heat. Smaller patties will take 3-4 minutes (approx. ), larger ones will take 5-6 minutes (approx.) 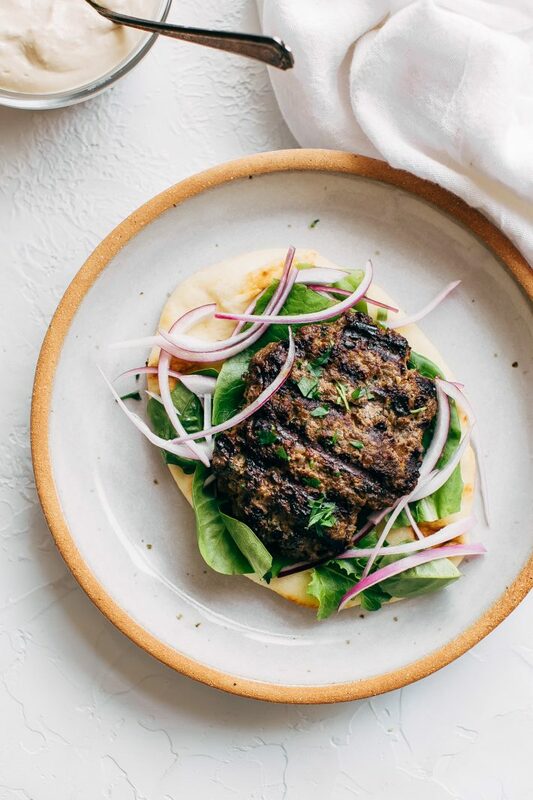 Serve kofta kabobs in warm pitas with sliced onions, cucumbers, sumac, lettuce, parsley, etc!